James Francis Cameron (born August 16, 1954) is a Canadian film director, film producer, deep-sea explorer, screenwriter, and editor. In 1971, he shifted to United States to fulfill his dream of becoming a film director, and he worked as a truck driver to support his screen writing desire. In 1980 he got his first professional film job where he worked as an art director for the film Battle Beyond The Stars. 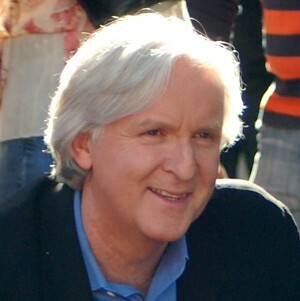 In 1981 he directed this first film Piranha Part Two: The Spawning but he made his mark on Hollywood in following years where he had written and directed the successful science-fiction action films such as The Terminator in 1984 which was a huge success, Aliens (1986), The Abyss (1989), Terminator 2: Judgment Day (1991), and True Lies (1994). In 1997, his movie Titanic became the highest grossing film of all time and a worldwide box office hit with earnings of $2.18 billion. It was the first film to reach the billion-dollar mark ever and the only other film to cross that mark was his next epic science-fiction film Avatar in 2009. Avatar became the highest ever grossing film where it got $2.78 billion worldwide. Cameron was nominated six times for the Academy Awards and he won three awards for Best Film and Best Director.